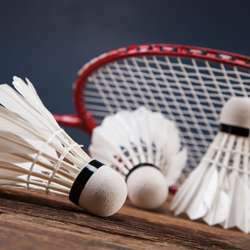 You must be a member of the Frankfurt Badminton Group to attend this activity. Would you like to join this group? Location: Fitness First Eckenheim, Register only when you are sure to come. Two courts (Nr. 12 & Protected content two hours Protected content 2pm) are booked under my name Akshit. The price is 24€ per court per hour which will be shared with everyone at the end. Important: The courts can only be canceled 1 day before so please register only when you are sure to come. Please inform me by messaging here or via Watsapp when you cancel at very last moment. Kindly bring sport clothes, clean indoor sport shoes and a badminton racket. I bring the shuttles.